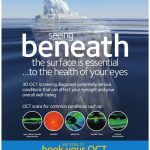 OCT is a new, completely painless and highly advanced screening system that checks for potentially serious conditions such as glaucoma, diabetes, age-related macular degenration, vitreous detachments and more. Robinsons are one of the very few practices in the area to have invested in an advanced 3D CT scanner. To help explain how this service works, there is a short video online where you can learn about the process. Please click the button below to view. Clicking on the button will redirect you to another Robinson website but don’t worry, you can click on your browser’s “back” button to return here. 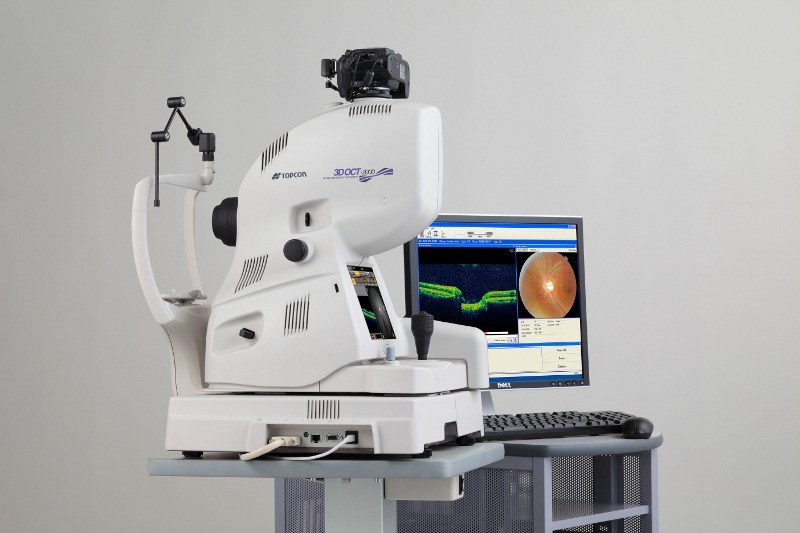 3D OCT is the latest, most advanced technology to view and analyze the retina. 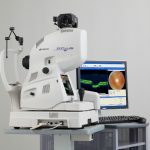 3D OCT has revolutionized the retinal examination. 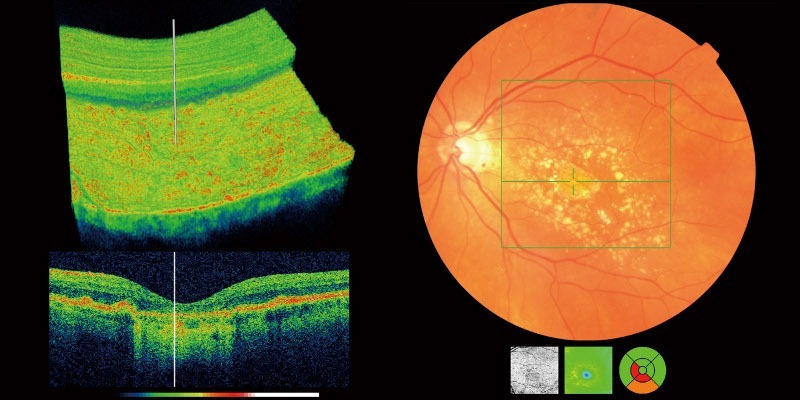 Unlike conventional retinal photography (which only allows views of the top layer of the retina), OCT enables visualisation of ALL the layers of the retina. Think of it like an MRI scan which allows doctors to see any section of the brain! OCT is indicated for anyone who really wants a meticulous examination of the retina. 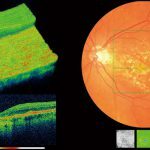 However, it is particularly indicated in patients with diabetic retinopathy, macular degeneration, glaucoma (or a family history of glaucoma). OCT may also be advised where there is a need to examine deeper layers of the retina due to the many ocular conditions that can affect this fragile structure. 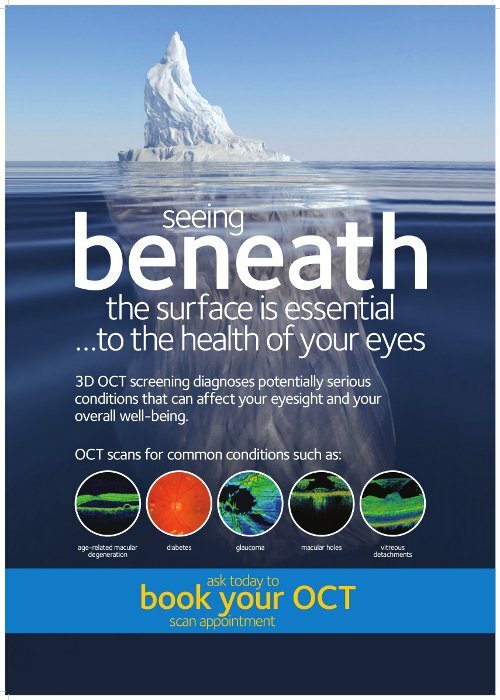 Please ask our staff about having the 3D OCT examination – it’s the very best in retina examination technology. Contact us to arrange an appointment.